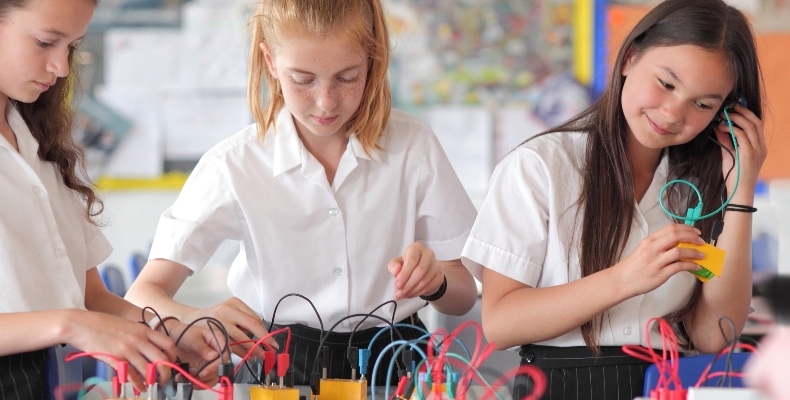 Schools from across England are being invited to sign up for free to the Institute of Physics’ (IOP) Improving Gender Balance national research trial. The trial, funded by the Department for Education (DfE) will work with teachers on whole-school approaches to tackling gender stereotyping and the resulting limits on both boys and girls’ choices. In doing so it seeks to redress the fact that for more than 30 years only a fifth of those taking A-level physics in the UK have been girls. A previous smaller scale pilot project run across six schools in 2014-2016 saw the number of girls taking A-level physics more than treble over two years. Participating schools reported that a non-gendered whole school approach and head-on tackling of gender stereotypes had equipped teachers to ensure that all students were able to explore the possibility of studying subjects across the board, irrespective of gender. 55% of A-levels were awarded to girls in 2018. However, girls just 43% of A levels awarded in STEM subjects and only 22% of A-levels awarded in physics, with only 13% of girls who achieved grade A or A* in GCSE physics going on to study the subject at A-level. This compares to 39% of boys who go on to study physics at A-level having achieved grade A or A* in the subject at GCSE (Institute of Fiscal Studies, August 2018). We want to ensure that as many young people as possible, irrespective of gender, have the chance to benefit from the opportunities studying physics can open up. The Institute of Physics’ ground-breaking Improving Gender Balance trial is open to all state-funded co-ed secondary schools where a gap currently exists between the proportion of girls and boys taking physics A-level and all girls schools with a relatively low number of girls progressing to A-level in physics. All interested schools can sign up to participate in the trial at https://beta.iop.org/IGBtrial, with applications open until 31 May 2019. Beth Bramley, gender balance programme manager at the Institute of Physics commented: “Physics is hugely rewarding subject to study at A-level and a gateway subject to so many exciting career roles and higher education options. We want to ensure that as many young people as possible, irrespective of gender, have the chance to benefit from the opportunities it can open up.